Sorry for the lack of posts lately. With no insurance and a possibly infected molar I signed over my right to my bottom left wisdom tooth last friday. 5 minutes later I was shaking hands with the "dentist" and then walking along 2nd avenue in Brooklyn with a numb cheek. 3 hours after that I was self medicating and have been in a large amount of pain ever since. I apologize. 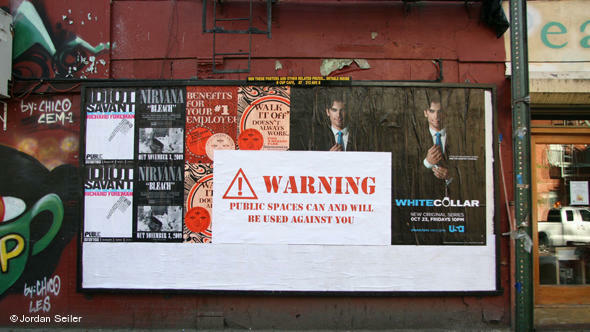 I was recently contacted by Candice Novak to respond to questions regarding the intersection of street art and advertising. I'm always happy to give my opinions on this subject.